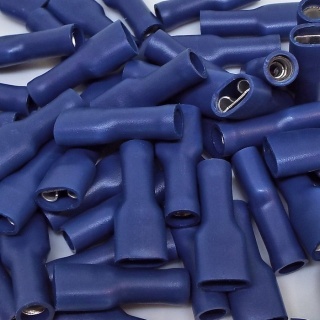 Fits male spade connectors 0-001-13 and piggy-back 0-001-15. 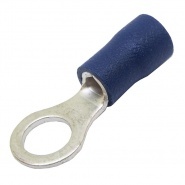 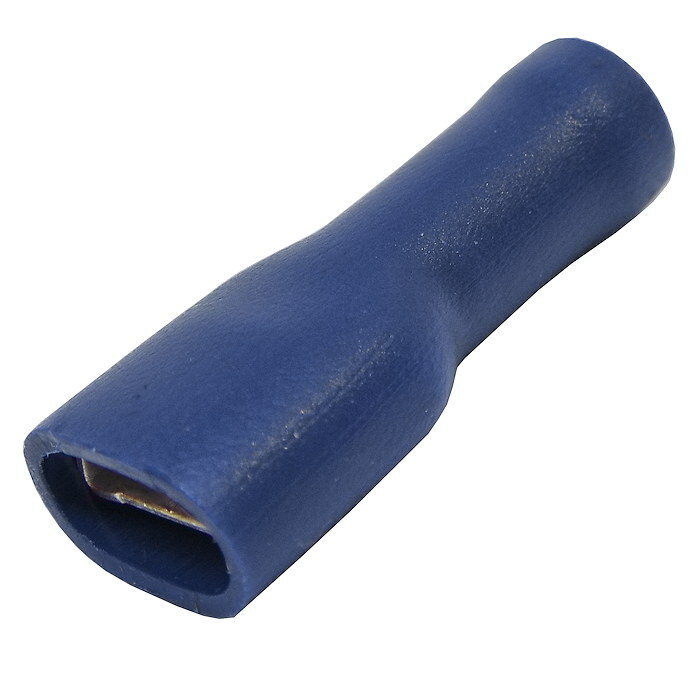 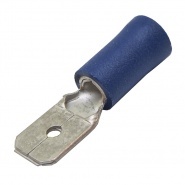 The fully insulated 6.3mm blue female spade terminal (based on the Lucar style of terminals), used for joining automotive electric cables, for 6.30mm spade terminals or components that have a 6.3mm spade termination. 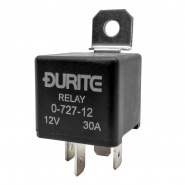 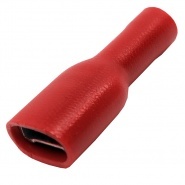 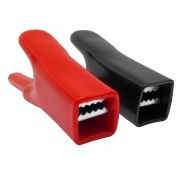 Female insulated blade receptacles allow for easy assembly and disassembly of a wiring loom and components.